People of Britain, you may need to sit down to hear this news – if you’re from Yorkshire, a cup of tea may be required, this could be devastating. The staple ingredient of roast dinner means a lot to us on the British Isles, and none more so than in the nation of Yorkshire from where said pudding takes its name. So when someone, an American, concocted a dish looking incredibly similar to the Yorkshire pudding for The New York Times and put sugar and jam on it, well, the internet went into meltdown. Florence Fabricant is a food critic at The New York Times and got a Twitter-sized load of criticism for her recipe for a ‘Dutch Baby’, a kind of breakfasty-brunchy, pudding. That's a Yorkshire pudding, mate. I love Aunt Bessie's Fluffy Pancakes. You've put icing sugar on your Yorkshire mate, must've run out a gravy. The recipe is older than America. And just when you think that last tweet was a gargantuan lie deployed in the effort of ending an argument, Dadzia Jazz has got a point. The name Yorkshire pudding was coined in 1747 by Hannah Glasse, a legendary English recipe writer, for a centuries old dish, which married meat flour and wheat dripping, the Mirror reports. 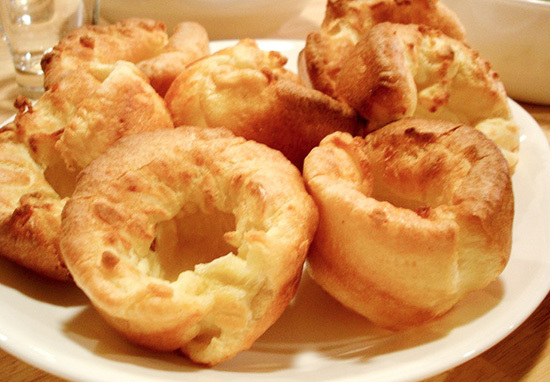 Dripping puddings, a flatter type, became Yorkshire puddings, with their height and golden, crispy deliciousness. America (The United States of, if you really want to be pedantic) came into existence on July 4, 1776. Even though I’m completely rubbish with numbers, I can quite clearly distinguish 1747 came before 1776. The puds are older than our trans-Atlantic neighbours. Yeah, but this is "artisanal" overpriced Yorkshire Pudding made by a bearded guy named Evan who moved from Iowa to Brooklyn a mere three years ago. How very dare you? ? You may notice the lack of patriotism pouring towards the Yorkshire pudding outrage, because this writer isn’t from Yorkshire. Don’t know what’s happened with the Yorkshire writer quota for today, but let me tell you, they would be absolutely not having jam and sugar on their Yorkshire puddings. I might message one just to get a response. It’s a YORKSHIRE PUDDING you NEW YORK PUDDING ? Food writer William Sitwell suggested Yorkshire became the home of the pudding because of its association with coal mining and the similarly high temperature required for the crispy batter that gives them their texture. The Dutch Baby, like a pudding, is a risen pancake, though is thought to have originated in Germany – it’s also known as a Bismarck or a Dutch Puff. It’s derived from the German, Pfannkuchen – flat pancake – and also dates backs centuries, though not as old as the Yorkshire pudding. Not that this has anything to do with how old the meals are, but what’s being put on them. The Dutch Baby only reached America in the early 1900s and the recipe has been tweaked over time. This large, fluffy pancake is excellent for breakfast, brunch, lunch and dessert any time of year. It should probably have come with the caveat: except probably not before lunchtime or for anyone from the United Kingdom. If you want to give the recipe a go, you can give it a go over here. But I won’t be able to look you in the eye.